Universidad del Pacifico (UP) is a private non-profit institution founded by a group of entrepreneurs and the Society of Jesus in 1962. UP specializes in degree programs in areas related to economics and administration. 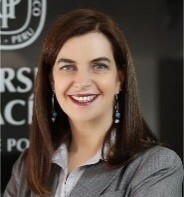 They aspire to contribute to Peru´s social development and well-being. Moreover, UP strives to train globally competitive leaders who are characterized by their initiative and entrepreneurial spirit and who have an integral vision, a sense of social responsibility, and are generators of change. UP areas of Expertise includes implementation of Pilot Programs, Dissemination of Knowledge (i.e.Case studies and Publications), Networking with Experts and Stakeholders, Training and Education, Fundraising and Proposal Writing, Research, Incubation of ventures.